2. Compliments of Denise Jaden, TWO BOXES of great fiction (US Only). Details on Denise's blog. 3. Audiobook copies of NEVER ENOUGH by Denise Jaden! 4. 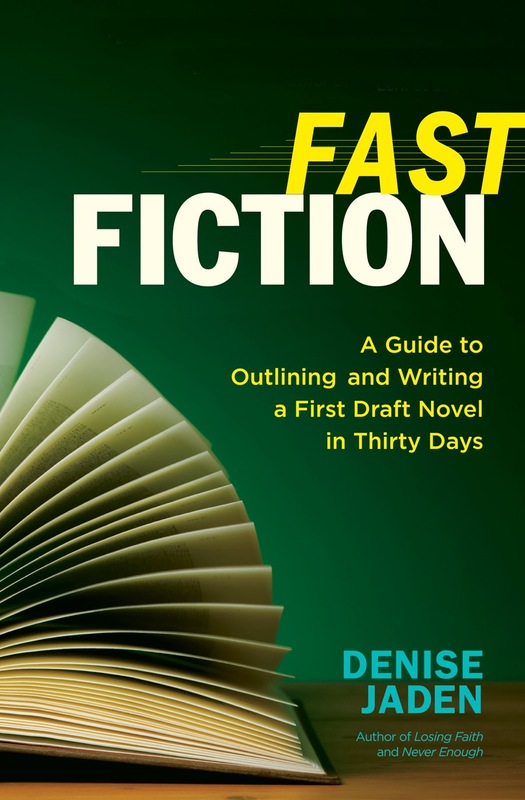 A critique of your first five pages, compliments of Denise's agent, Michelle Humphrey from The Martha Kaplan Agency! See how to enter at the bottom of this post! 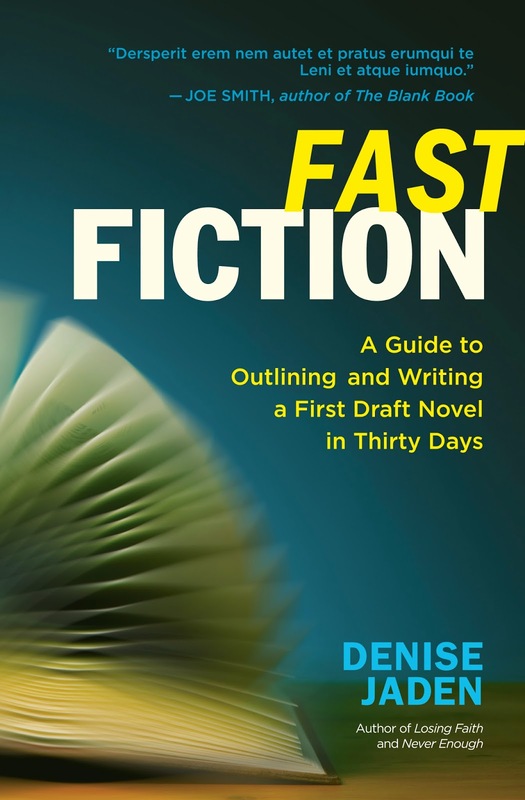 Since I’m very new to writing nonfiction, I had no preconceived ideas for the cover of FAST FICTION. 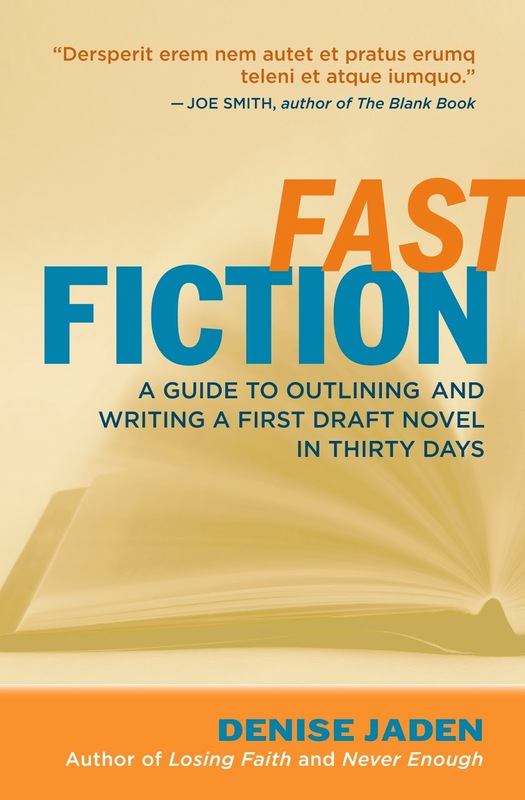 My publisher sent me a few ideas, all similar with different color schemes, and asked for my input. Really, I was thrilled with all of them, but I suggested a few small tweaks and my first choice of color. They followed all of my suggestions, which felt really honoring to me (only slight changes of a “speed” look to the font). 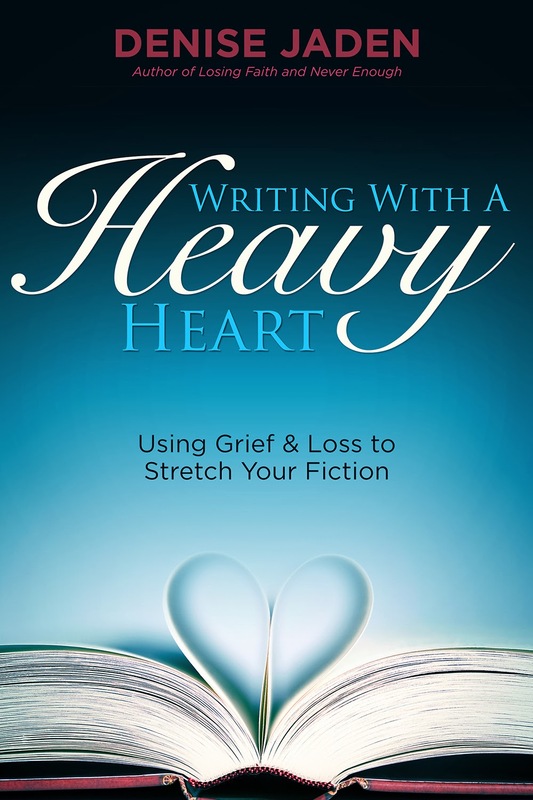 The finished cover changed very little from the original choices they sent, but I loved it so much, it inspired me to redesign the cover for my first nonfiction book, WRITING WITH A HEAVY HEART. Now I love to look at these books together on the shelf! Access the Rafflecopter giveaway here.